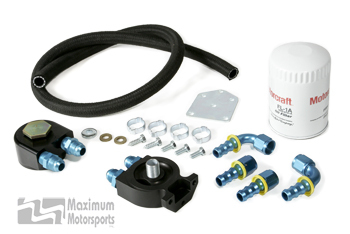 Maximum Motorsports-designed Oil Filter Relocation Kits move the oil filter from the original location on the engine block to inside the driver-side fender behind the bumper. 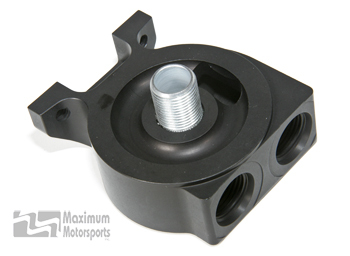 Required when installing a Maximum Motorsports K-member with a modular engine equipped with an OEM oil cooler (all 4.6 4V Cobra engines and some 2V GT engines). Oil Filter Relocation Kit for 1996-1998 Mustang Cobra moves oil filter to behind front bumper. 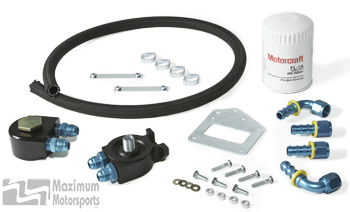 Oil Filter Relocation Kit for 2003-2004 Mustang Cobra moves oil filter to behind front bumper. 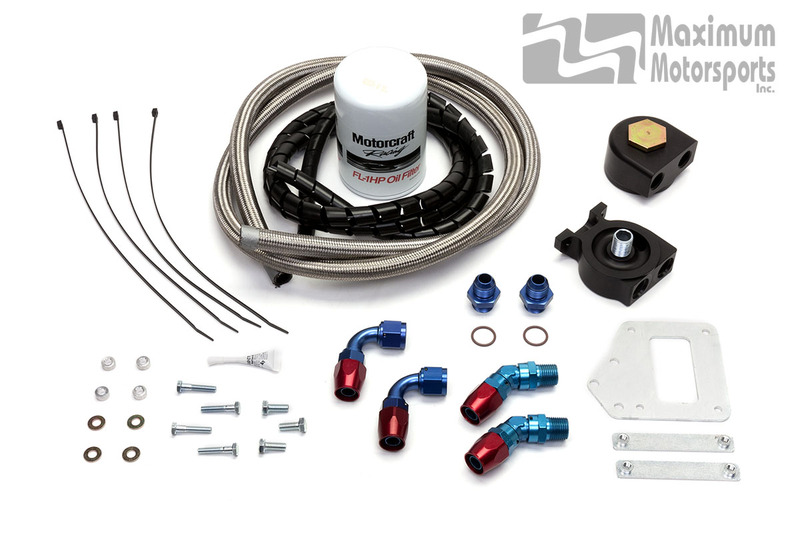 Oil Filter Relocation Kit for 1999-2002 Cobra and 2003-2004 Mach One moves oil filter to behind front bumper.